Plants need CO2 for their growth. During the day, when there is light, plants absorb CO2 and produce oxygen. During the night this process reverses, CO2 is released and oxygen absorbed. Due to the fact that aquarium plants grow underwater, they need to absorb CO2 from the water. 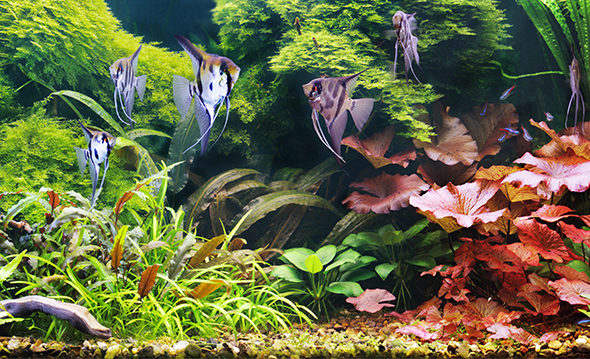 In normal conditions aquarium water does not contain sufficient amounts of CO2 for healthy growth. With a CO2 system, CO2 gas is added to the water. The plants can absorb the CO2 from the water. 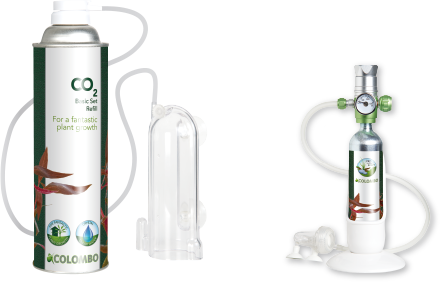 The CO2 Basic Set provides a simple solution for adding CO2 to smaller tanks. Fill the diffusor with CO2 from the bottle, through contact with water the CO2 gas is absorbed. With the adapter ring, sold as an accessory, the pressure regulator of the Advance set can be used on the disposable 800-gram cylinder. This way the cylinder has to be exchanged less frequently. With the 800-gram cylinder you save nearly 70% on the cost for the CO2 gas. By installing a solenoid valve the supply of CO2 can be interrupted automatically during the night. Plants don’t need CO2 during the night, hence you make considerable saving on the cylinders and the regulator doesn’t need to be readjusted again. The CO2 profi set contains all the components needed to setup a professional CO2 system. 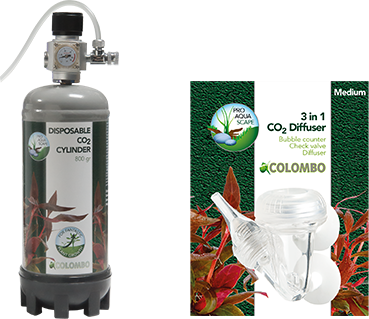 With the 800 gram disposable cylinder you will have enough CO2 gas to last for weeks. The system can be extended with a solenoid sold as an accessory, to stop the supply of CO2 during the night. The 3 in 1 diffuser offers a non-return valve, bubble counter and diffusor in one device. The medium sized diffusor is included in the advance set. For larger tanks a bigger diffusor is available. The 95-gram cylinder of the Advance set needs to be exchanged frequently. With an adapter ring, sold as an accessory the regulator can be used with the disposable 800-gram cylinder. With this amount of CO2 gas you will be covered for a while. 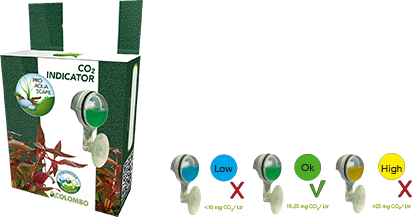 Plants only absorb CO2 during the day, hence the CO2 system can be stopped during the night. With the use of the solenoid valve in combination with a domestic timer this can be done automatically. The investment in the valve is returned quickly, you will need to exchange the CO2 cylinder less frequently! 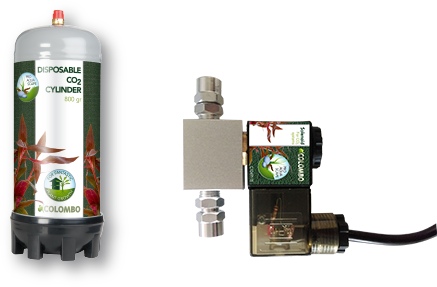 The CO2 indicator is an indispensable aid when using a CO2 system. The indicator continuously shows the CO2 value of the water. 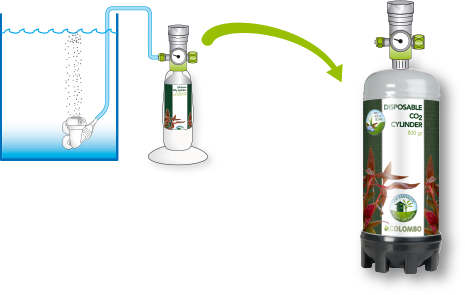 This way you can adjust your CO2 system to the correct amount of CO2 needed for your plants.